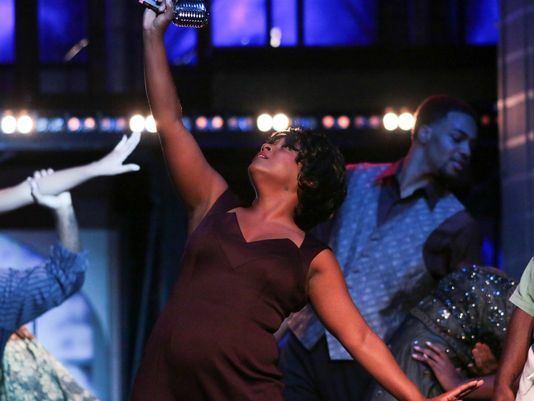 Vegas met vaudeville Saturday night when the Delaware Theatre Company opened its 37th season with Maurice Hines Is Tappin’ Thru Life. Hines, the older brother of the late great tap meister, Gregory Hines, is a consummate artist in his own right: a Tony Award nominee as well as celebrated singer, dancer, choreographer and director who has graced stages both here and abroad. Hines is one entertainer who knows how to work a room. His smile and energy are infectious and he clearly has a respect and admiration for his fans that has — sadly — become a rare commodity in today’s world of entertainment. He kicked the evening off with effusive praise for Wilmington, its people and the DTC, both in word and song with I’ve Never Been in Love Before. You got the impression that there was nowhere in the world he’d rather be than right here and the sold-out crowd loved it. But Hines doesn’t just talk the talk, he walks the walk, sometimes literally. He talked about how he ate at Harry’s Seafood Grill on the Riverfront with Bud Martin, DTC’s executive director. Reports of “Hines sightings” abound as he hoofs about town. 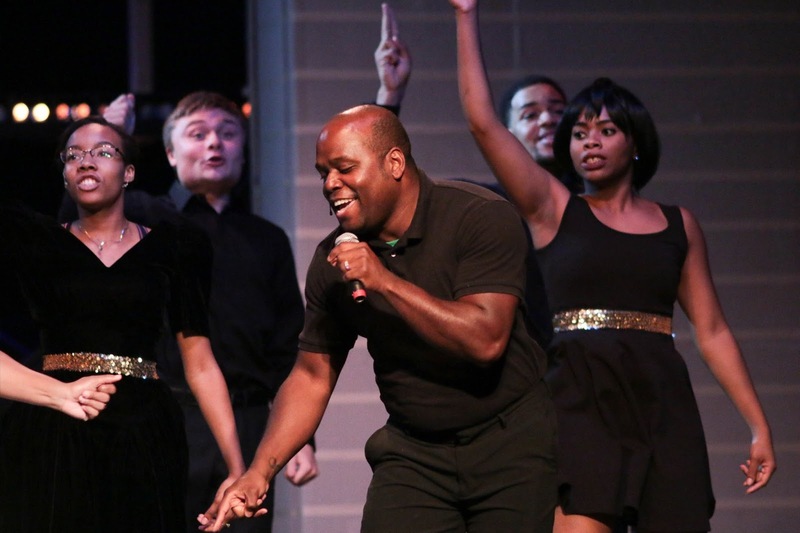 Hines talks and sings about his childhood, his relationship with his brother, the influence his parents had on his career and life, all the while getting superb backing from the nine-member Diva Jazz Orchestra, a distaff powerhouse ensemble. Tappin’ Thru Life is much more than a chronological recounting of a life’s events. It is, as Hines points out, a love letter to his mother who, unlike his skeptical father, never doubted that her talented toddlers were destined for the world stage. “My father was just along for the ride,” he quipped. We see photos of the lovely Alma Hines in her wedding gown and decked out in a stylish fur on the porch with his father. “Isn’t she beautiful?” Hines asked the audience as he gazed lovingly at the faded black-and-white images. Hines also gets misty-eyed when talking about his brother. He regrets the argument they once had that caused them to be estranged for 10 years. But once they reconciled, they were inseparable until Gregory’s passing in 2003 at age 57. “I miss my brother,” he said before singing My Buddy. Hines’ personal history is interspersed with social comments regarding integration and segregation. He tells of the time he and his brother received an invitation from Tallulah Bankhead to visit her whites-only hotel in Las Vegas. (She threatened to boycott her own show if management objected.) The brothers swam in the pool then had to watch as the proprietors drained the water after they exited. 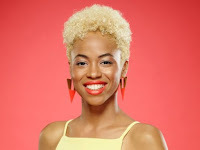 Hines punctuated the story with a heartfelt rendition of Nat “King” Cole’s signature song Smile. There were magical moments as well. Like the time he met Frank Sinatra, the reigning king of Las Vegas, in Sammy Davis Jr.’s dressing room. And if that wasn’t enough excitement, Dean Martin, the indisputable “king of cool” himself, appeared at the door. “Jay-Z and P. Diddy think they’re cool baby, but Dean Martin was the coolest man I’d ever seen,” he said. 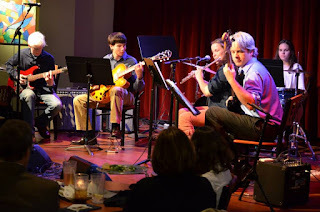 Much of the dialogue and comments between the band and the audience is ad-libbed, making for a comfortable interaction in the intimate venue. Hines shares the stage with the Manzari Brothers, photogenic siblings who appeared with him in “Sophisticated Ladies.” Their relentlessly high-voltage performance provided the perfect complement to Hines’ cool and relaxed elegance. The audience erupted when nine-year-old Jake Sweeny, who studies tap at the Delaware Arts Conservatory, joined the Manzaris in a fast and furious battle of the taps. The band is big, bold and brassy. Horns blare and pianist Jackie Warren shows her instrument no mercy as she pounds away at the keys. Music Director Sherrie Maricle delivered a jaw-dropping drum solo during a performance of Duke Ellington’s Caravan. Played and sung numbers included big-band favorites like It Don’t Mean a Thing, to Broadway’s I’ve Grown Accustomed to Her Face, and Luck Be a Lady, to the rock era’s Love the One You’re With. Hines closed the show with a love song to the audience, Too Marvelous for Words, and after five standing ovations, the audience obviously felt the same about him. Creative District Wilmington is excited to host 7th Street Arts Bridge Kick-Off on Friday, October 2 from 5:30-8:00pm at the new Inspire Lot located at 215-219 W. 7th Street between Orange and Tatnall Streets. Music by Jea Street and JaE, hip-hop performance by Street Xpressions, food trucks, hands-on art projects and more! Be sure to add this to your schedule while enjoying the first Friday Art on the Town Art Loop! There is no admission cost for the 7th Street Arts Bridge Kick-Off. Performances run from 6:00-8:00pm. In case of inclement weather, a decision will be made by Noon on October 2. Music provided by Gable Music Ventures. Sponsored in part by Christina Cultural Arts Center, Cityfest, City of Wilmington, Colonial Parking, Downtown Visions, Gable Music Ventures, Smashed Label, Street Xpressions Arts Organization, Inc., and Wilmington Renaissance Corporation. Wilmington's Creative District is a part of a national wave of creative placemaking initiatives that seek to transform urban areas. This revitalization project encompasses the area bounded by 4th, 9th, Market and Washington streets. It's driven by collaborative partners: Chris White Community Development Corporation, Christina Cultural Arts Center, City of Wilmington, Interfaith Community Housing of Delaware, Quaker Hill Neighborhood Association and Wilmington Renaissance Corporation. 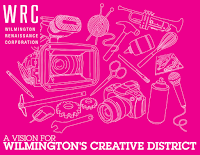 The Creative District is generously supported by Bank of America, Delaware Division of the Arts, Delaware State Housing Authority, Delmarva Power, JPMorgan Chase, Longwood Foundation, TD Bank Foundation and United Way of Delaware. 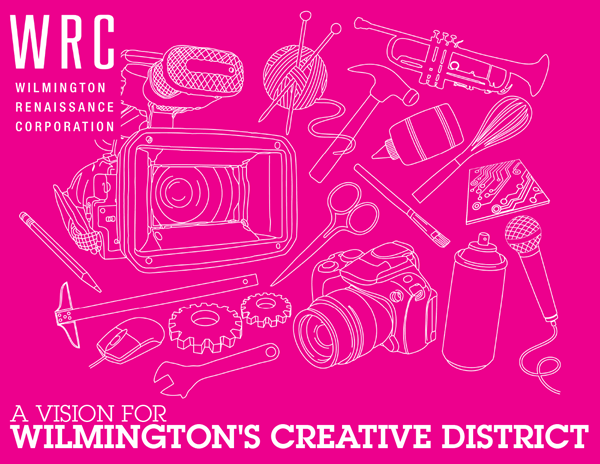 The Creative District is focused on creative production and consumption, a place where creative entrepreneurs - artists, musicians, designers, tech innovators, makers and manufacturers - and neighborhood residents thrive and where locally designed goods and original works are made and consumed. This revitalization will engage the community - current and future residents, as well as civic and business leaders - In a wide range of initiatives and programs that include; affordable housing, greening and streetscape projects, real estate development, programming and community engagement activities, public art and public performance projects, and centers for creative entrepreneurship. 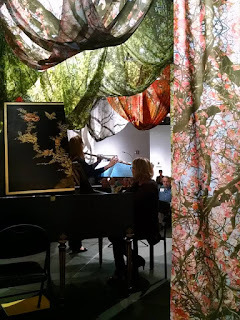 Mélomanie Opens with Two World Premieres & One Breathtaking "Stage"
Mélomanie opened its 2015-2016 season at The Delaware Center for the Contemporary Arts on Sunday, September 13, with a celebration of the artistry of flutist Kimberly Reighley. The concert was held in the DCCA's Carol Bieber and Marc Ham Gallery, where the musicians performed directly underneath artist Amie Potsic's beautifully flowing piece, Endangered Seasons. Reighley — co-artistic director (along with Tracy Richardson) of the ensemble known for its provocative pairings of baroque and contemporary music — was this year’s recipient of the coveted Masters Award for Solo Recital from the Delaware Division of the Arts. 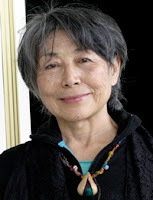 The award required her to perform a solo concert. I once asked a flutist friend if the instrument was tough to play. She responded by saying it was easy to learn but hard to master. Anyone who hears Reighley’s incredibly beautiful playing will soon realize that she is a complete master of the flute. 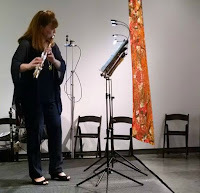 The program featured various flutes — the piccolo, baroque, modern and alto —demonstrating the range of expression the instrument possesses and the skill Reighley brings to each. The program was a mostly contemporary one, including the World Premieres of two works composed especially for the occasion: Two Moods by Chuck Holdeman and The Four Gifts of God by the Brazilian composer Sergio Roberto de Oliveira. Holdeman is one of an increasing number of composers writing for solo piccolo. As its name suggests, Two Moods explores the acoustic possibilities of the instrument. The first employs the “whistle” tones demonstrating how an almost inaudible instrument can still make music. The second returns the instrument to its familiar sprightly self. Reighley handled this often unpredictable little instrument with precision and grace. Especially impressive were her high notes, which can be difficult for the average flutist to sustain given the need for greater wind speed. 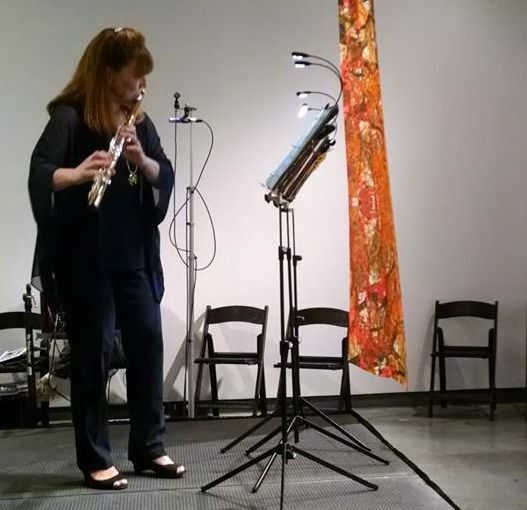 The Four Gifts of God paired Reighley on baroque flute with Richardson on harpsichord. Composer de Oliveira got the idea to identify four elements: common to all religions. He came up with the gifts of Breath, Light, Creation and Action. Reighley mined the instrument’s capacity for otherworldly tones in the primal character of the first section, quickly switching gears for the brighter musical ideas of Light and Action. Of special interest was the Creation movement, where the composer paid tribute to seven of his favorite composers, including Richardson’s husband, composer Mark Hagerty. Speaking of Hagerty, his contribution to the program was a work titled Sea Level. Written especially for Reighley, the piece offers a soundscape of the burgeoning plant and animal life in and around the canals of the Dutch countryside during an unusually warm April. This work showcased Reighley’s mastery of the alto flute whose mysterious, picturesque tones ably conveyed the score’s changing colors and textures. Reighley took up the standard concert flute accompanied by Richardson on harpsichord for Jennifer Margaret Barker’s Dumgoyne and Ingrid Arauco’s Florescence. Both demand the soloist to delineate the sharply contrasting musical ideas. Dumgoyne describes Barker’s childhood memories of the sights and sounds of her native Scotland’s most famous hill. Reighley’s playing effectively conveyed the experience of a climb culminating with the calm and peace of a lyrical Scottish song. It wouldn’t be a Mélomanie concert without a Baroque offering, and Reighley and Richardson paired to offer Joseph Bodin de Boismortier’s Sonata II in G Minor. The concert concluded with an encore performance by Richardson and Reighley of Hagerty’s Contexts, a short piece that looks at what can happen to a simple repeating motif when the harmony and other musical elements change around it. 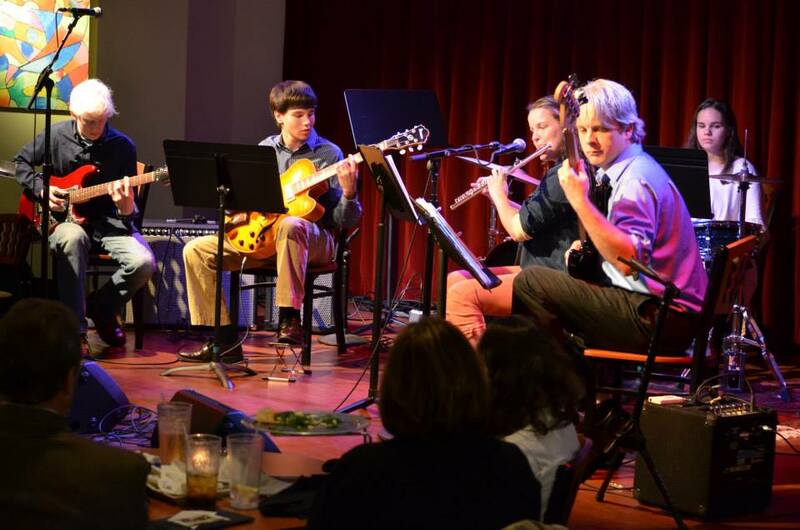 The full ensemble returns to the DCCA for their next performance on October 18, where they will premiere a piece by guitarist and composer, Kevin J. Cope. Mozart’s Requiem took on an added poignancy as the Delaware Symphony Orchestra opened its 2015-16 season — the “Season of the Bells” — with a tribute to the September 11th terrorist attacks. The deeply human drama of the Requiem was a perfect choice for the concert, titled Remembrance and Redemption. The soloists soprano Brenda Harris (who traveled last-minute from Connecticut to fill in for the ailing Mary Wilson), mezzo-soprano Meg Bragle, tenor Brian Downen and baritone Grant Youngblood drew the pathos and solace from the Recordare and the Tuba mirum, the latter graced by a lyrical trombone solo. The Mastersingers of Wilmington sang with force and assurance, executing complex vocal lines with ease and applying judicious phrasing. This concert was the first in the five-concert Classics series to feature the Bells of Remembrance, Brother David Schlatter’s poignant memorial to those who lost their lives at Ground Zero including his friend, mentor and fellow Franciscan Father Mychal Judge, the first to die in the terrorist attacks. Amado chose Cesar Franck’s symphonic poem, “Le Chasseur maudit” (The Accursed Hunter) for the bells’ season debut, quipping that he was giving the rarely performed work its Delaware premiere just as he gave it its St. Louis premiere during his tenure with that city’s orchestra. Based on the poem “Der wilde Jager” by Gottfried Burger, the story is a classic tale of disobedience and damnation: a miscreant count chooses hunting over church one Sunday and is condemned to be chased by demons for all eternity. The horns were resplendent; the call to the hunt in the opening bars was arresting. The alternation between solemn hymns and frantic hunt was powerfully executed. The orchestra’s principal players, especially the winds, provided subtly colored solos. The tolling of the church bells — this time with real bells — was a dramatic and somewhat sinister harbinger of what was to come. But it was the waves of sound from each section of the orchestra that drove the action, culminating in a massive G minor thwack from the deity. The concert opened with George Tsontakis’ Laconika (2010), with the composer in attendance. The title is a pun on the Los Angeles Chamber Orchestra’s name (LACO) as well as a nod to the native New Yorker’s Greek heritage, as he explained. The title also represents the composer’s intent on writing something laconic or Spartan rather than the larger movements he typically favors. As a result, the 15-minute score divides into five, short pop-song sized pieces: Alarming, Lacomotion, Mercurial, Laconicrimosa and Twilight. This is hardly groundbreaking music — the ear catches more than a few clichés — but Tsontakis somehow manages to keep it sounding fresh and authentic, and the DSO obliges. Apropos this concert, Laconicrimosa, which was written when the composer’s mother was ill, makes reference to the Lacrimosa of Mozart’s Requiem. The tone for the evening was set with a solemn arrangement of The Star Spangled Banner by Otto Werner Mueller, professor of conducting at the Curtis Institute of Music in Philadelphia and Amado’s teacher.